Speaking at a press conference in Vienna, the team of specialists at Vienna General Hospital (AKH) behind Niki Lauda's lung transplant have revealed that the racing legend had a life expectancy of days ahead of last week’s operation. Christian Hengstenberg (Head of the Department of Internal Medicine II and Head of the Cardiology Department), Marco Idzko (Head of the Pulmonary Department), Walter Klepetko (Head of the Department of Thoracic Surgery), Rainer Oberbauer (Head of the Department of Nephrology and dialysis), Gottfried Heinz (Clinical Department of Cardiology), Konrad Hotzenecker (Clinical Department of Thoracic Surgery) and Peter Jaksch (Clinical Department of Thoracic Surgery) were all present for the press conference which comes a week after the operation. "Mr Lauda suffered from a so-called haemorrhagic alveolitis," revealed Marco Idzko. "This is an inflammation of the alveoli, which had been accompanied by bleeding into the pulmonary tissue and respiratory tract. "This ultimately leads to the destruction and loss of functional lung tissue," he added, "and the patient is no longer able to absorb enough oxygen through his lungs." "Unfortunately, after ten days in intensive care, because of a critical oxygen supply, therapy escalated," revealed Gottfried Heinz. "Therefore, we had to perform a mechanical lung replacement, an ECMO, an extracorporeal membrane oxygenation." With his life expectancy now measured in days, the three-time world champion was listed for an imminent transplant. "We could assume that he would be assigned a suitable organ within the next few days," said Konrad Hotzenecker. "The average waiting time in this case was five days. "The lung has an excellent primary function, so that we were able to remove the circulatory support, the ECMO, in the operating theatre," explained Hotzenecker. "The graft lung has taken over its function well." "The patient survived it excellently and could already be extubated after 24 hours," revealed Christian Hengstenberg. "That means, the tube in the lung could be removed and the patient could breathe spontaneously. "This is extremely important for us and for the entire healing process as well," he added. "We can see that he is fully conscious and that all the institutions are functioning properly. Everything is completely in order. It's a very, very gratifying development." "After such a big operation, you feel like you've been hit by a tank," admitted Hengstenberg. "But already after 24 hours Mr Lauda could breathe independently. Of course, this is very important for the entire healing process." "Survival rates are over 90 percent after one year, and around 75 percent after five years," said Peter Jaksch. "Patients usually have a very good quality of life." It was revealed that over the course of his illness the functioning of his kidneys, which were the subject of previous transplants, had worsened, but that they were now working perfectly again and it is not envisaged that Lauda will require another transplant. 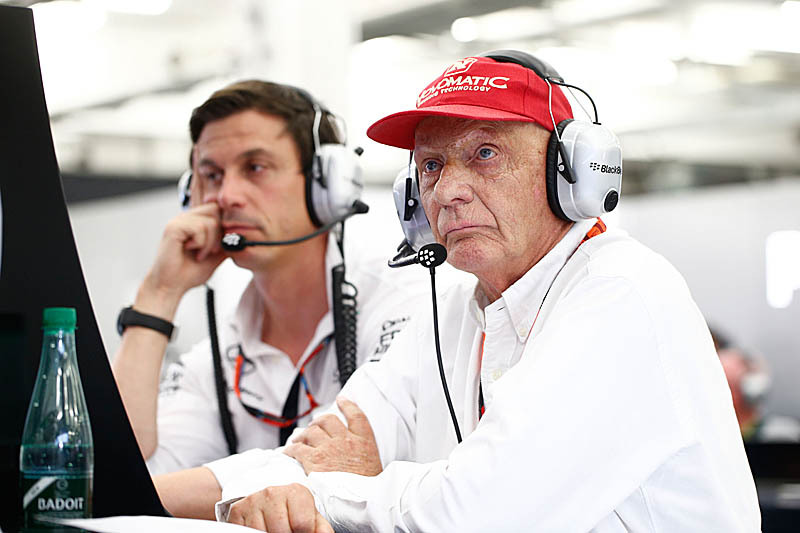 With the risk of the lung being rejected at its highest in the next six months, Lauda will be required to make numerous follow-up visits to the hospital. Emphasising once again that there is no evidence that the Austrian's 1976 crash at the Nurburgring was at the root of the driver's lung damage, Klepetko admitted that Lauda's will to survive played a big role. "How vital is the patient as a whole and how motivated he is... this is crucial to get the patient out of bed again after the procedure. It goes without saying that Mr Lauda is an internationally known fighter. "Future activities should not differ significantly from previous activities, if all goes well," he added. "The situation is such that we really expect him to be able to return to a life that is normal for him. Time will tell whether we will reach our goal." "Niki Lauda is the epitome of the Grand Prix racer; never giving up and doing everything necessary to win. It's a blood sport and those faint of heart or distracted by celebrity are not his peers. If we had more Laudas today we'd have less boring races. The car is always a factor, but the winning factor is behind the wheel. I hope Niki is back in the paddock ASAP; I always smile when I see his eyes." "Get well soon, special man!" "Steve Austin, eat your heart out! All the best Mr. Lauda!"